This is related to the way I am handling certain elements such as studs, blocking, insulation and other arrayed building elements. Currently in the plugin I have only implemented the California Corner (as we Americans call it) or Energy Corner for corner treatment however there are number of ways to handle corners. I have been requested by a potential client to enable the following corner type: "Solid corner with short blocks". For a deeper wall sometimes two rows of blocks are used (2x6 wall) rather than one. 1.) If you use blocking rather than a full stud how do you determine the length of the blocks and the number of blocks in a given wall height? Is there any rule of thumb with this? I just need to come up with a reasonable algorithm. 2.) 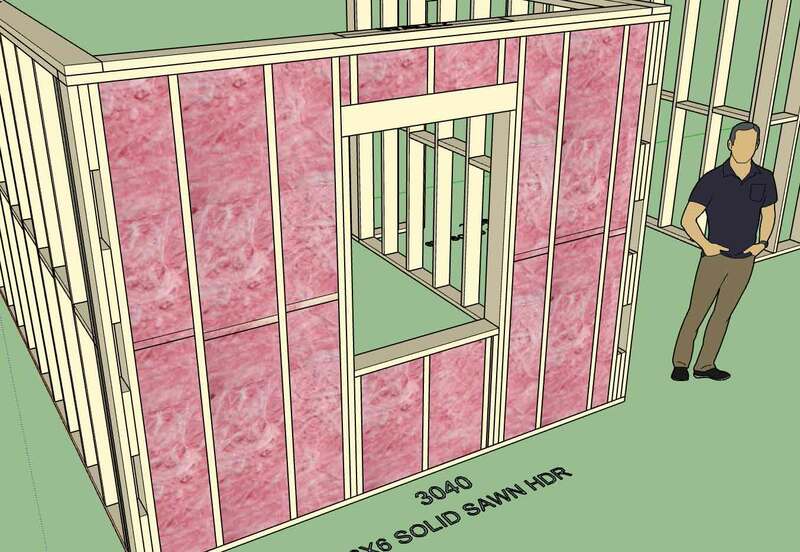 Is the blocking typically the same dimensional lumber as the studs? When the user sets the number of studs for the corner on anything other than one, that setting will override the corner treatment for the above corner treatment types. However this is not the case for the California corner (however I may change it in the future if it makes sense to). 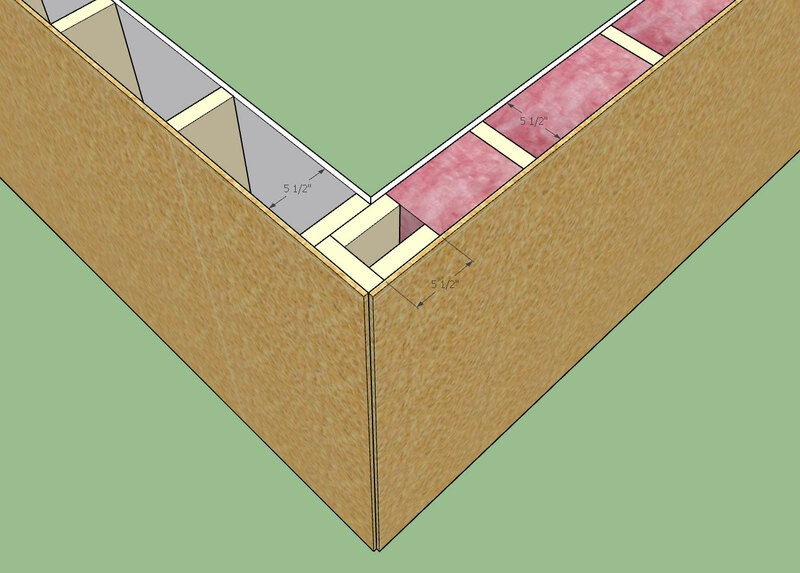 These algorithm can get a bit complicated due to the number of permutations possible when you start mixing up corner treatments and multi-stud corners for shearwalls. The problem I find with California Corners is that it does not provide very good backing for ext. 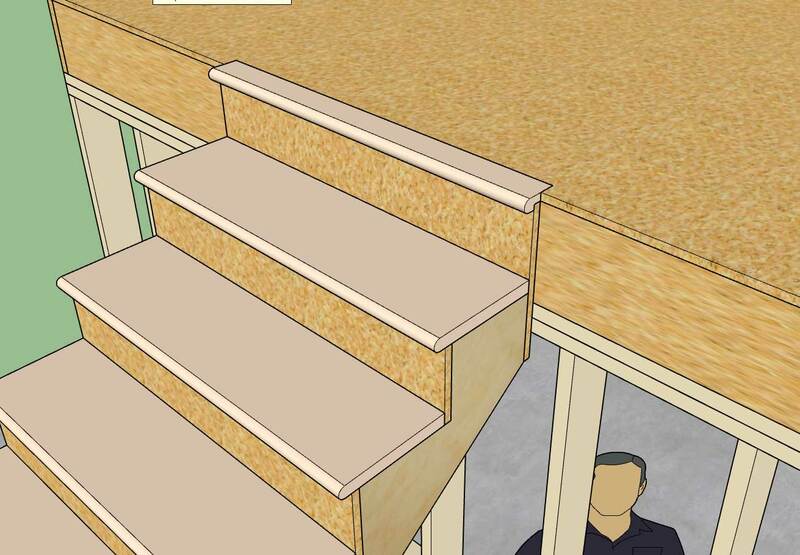 outside corners when it comes to siding and trim. However it certainly is better for insulation and much easier on the electricians. There does not seem to be any hard and fast rule on the length of blocks used but it seems to average between 12" to 14", so I will set my algorithm to a max. block length of 14" . So for example a 96" wall will have four blocks at 13.714". - Enabled a parameter in the General tab of the global settings to toggle the labeling of groups. I also addressed some minor issues with the way blocking and insulation interact with the corner treatments. Its seems I have that ironed out now and much less likely to generate geometry that clashes. I don't know how commonly the U-shape California Corner (U-Cal) is used (shown above) but I really like the fact that it offers more nailing surface for ext. trim and siding. I've had a few requests for it as well, so being as it was not too hard to include I added it in. There are now seven possible corner treatments for walls, the other two are California or None. I typically like to name all of the groups I create within the assemblies however there may be some who do not want this behaviour and so I have made it optional. - Added the ability to import materials directly from the model within the Custom Material Libary/Manager in the global settings. 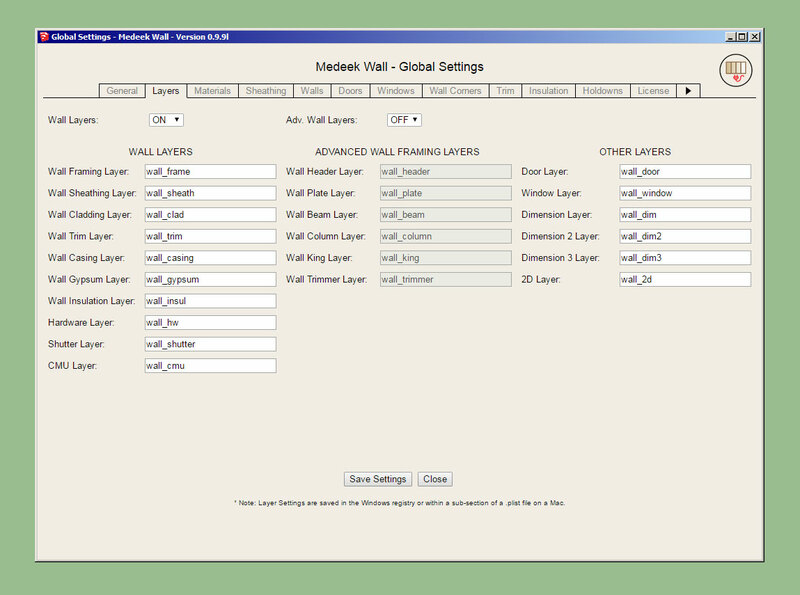 - Provided an additional parameter in the Wall Corners tab of the global settings for setting the thickness of corner blocking (3 and 4 Stud Block corner treatment only). 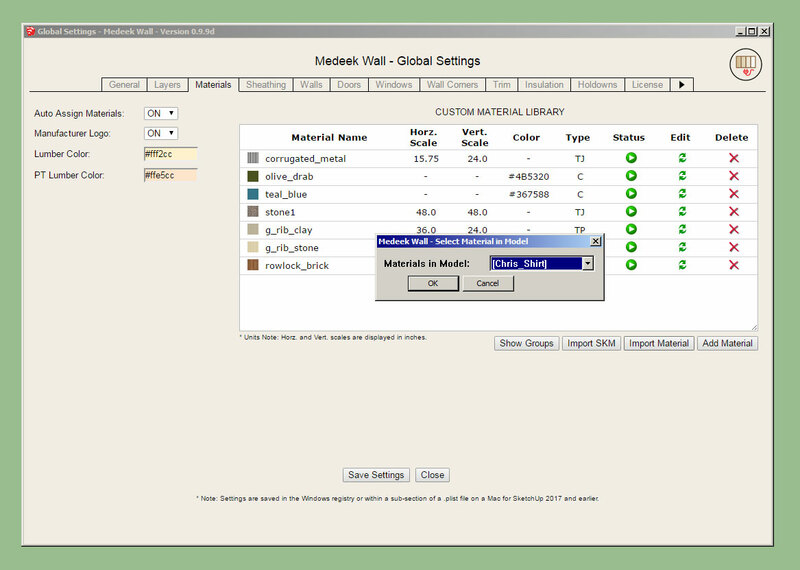 With this latest update the tutorial on the Material Manager is somewhat out-of-date/obsolete. However the basic functionality has not changed, I've really only added one additional action. The ability to customize the blocking on these corner treatments was per a request from one of our Australian clients. I've added a tooltip in the global settings to more fully explain the usage of this parameter. Now back to the big items on the list. Some of you may have noticed the difference in the way materials are handled between the garage doors and man doors. The method being used in the garage door module is the new and improved method. I will be updating both the man door module and the window module to this new system which incorporates the materials in the Custom Material Library. Also at some point I need to switch the draw door, draw window and draw garage door menus to HTML. As always, never a dull moment and way too much to do. I been thinking about putting on a weekly one hour webinar where I can demonstrate the latest features of the plugin and then take additional questions from the audience. Would there be any interest in this? 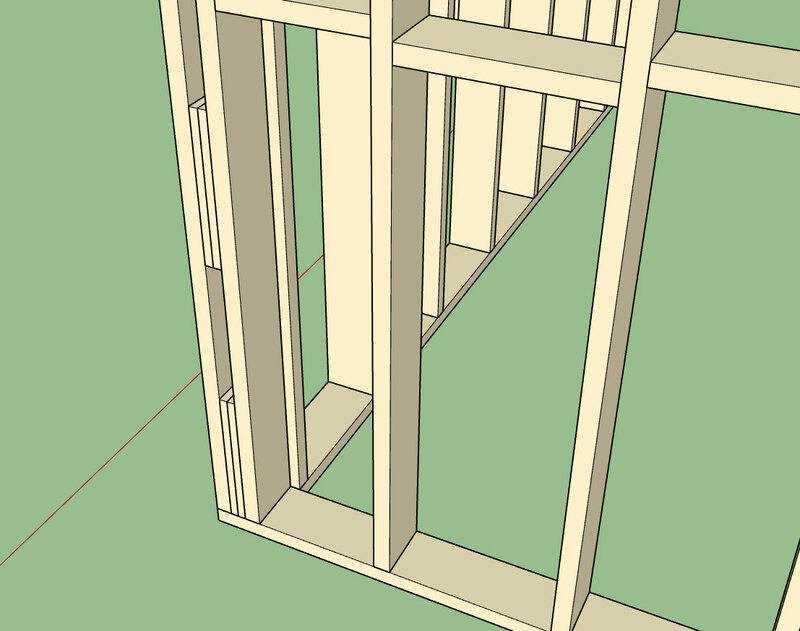 - Added an option to include 2D wall geometry in 3D modes (Framing, No Framing, CMU). - Added an additional layer for 2D geometry. The custom colors for the labels, and 2D geometry is per a discussion with a client today. Hopefully this upgrade will help facilitate bringing the 2D geometry into layout for creating floor plans. 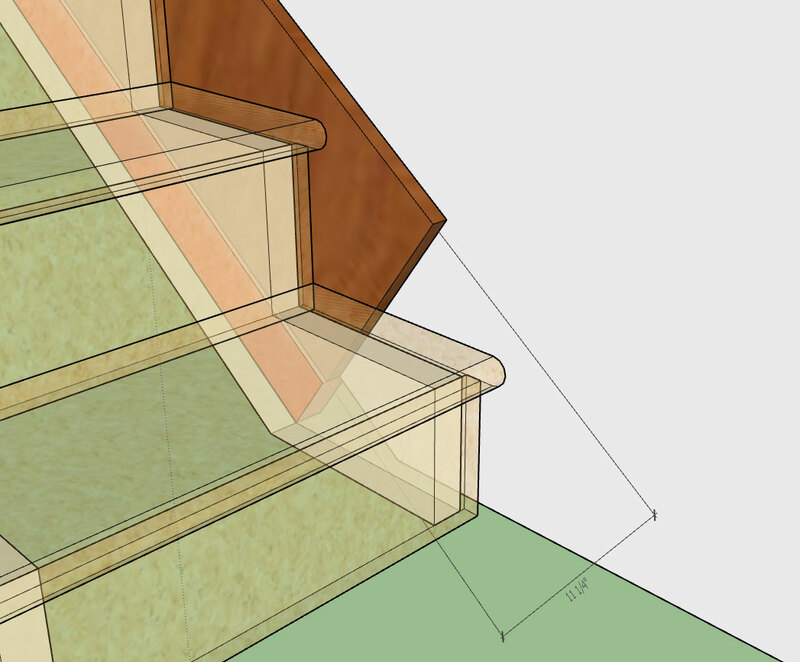 I think this will be a seminal work on incorporating SketchUp into the residential design process. I've already gone ahead an pre-ordered my copy. 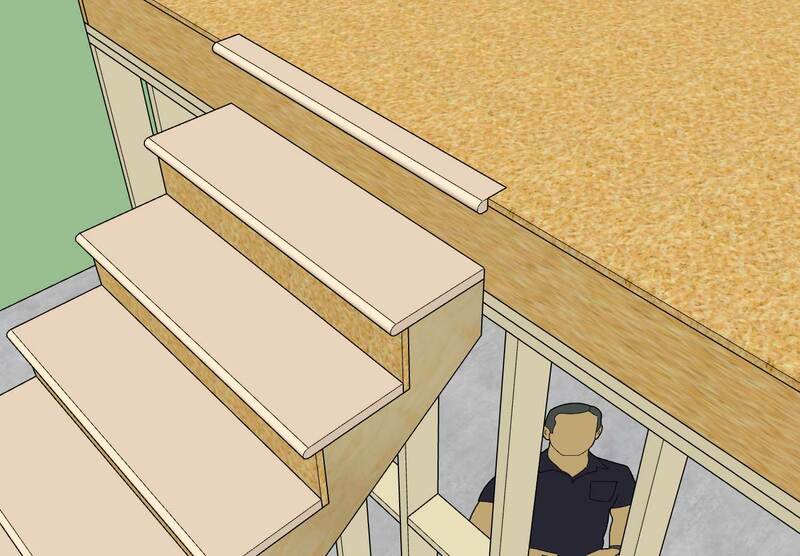 Note, that only straight runs of stairs will be available for now, however it is possible to create L and U shaped staircases just by combining straight runs as shown and framing in a landing. I will probably need one more day to fine tune it completely and finish adding in the hanger board and landing tread advanced options. The stringer algorithm is really the core of the module and drives everything else. The logic was not nearly as complex as I initially thought it might be, regardless it was a blast to work through it and turn the math into reality. 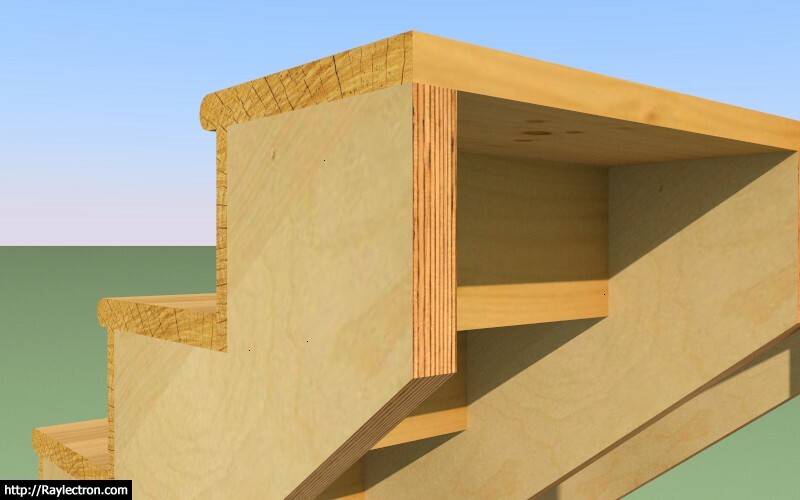 LVL stringers with timber (wood grain) risers and treads. - Added the stair module (straight run only) with the following advanced options: thrust block, landing tread, hanger board. There are quite a few options with the stair module so I will need to make another tutorial video explaining the usage of these parameters. I have provided tool tips next to each option in the draw and edit menus to help explain what each is. 1.) First select the top of the stairs location and then select a point for the bottom of the stairs. 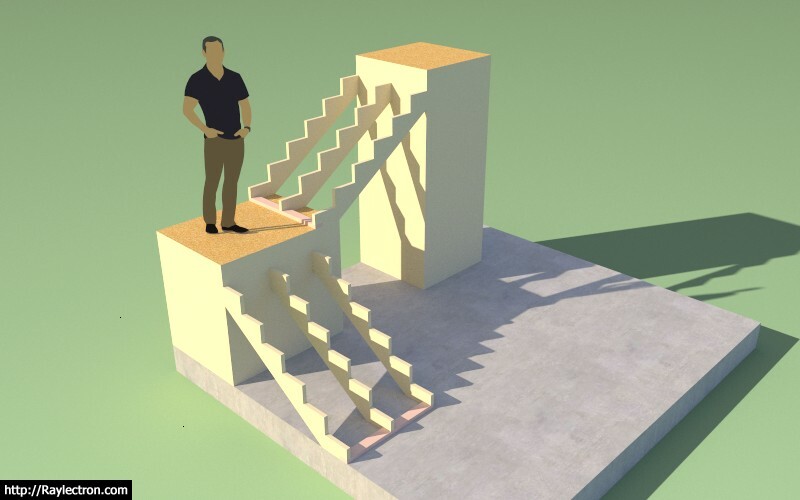 The preview wireframe should be fairly explanatory as to the location and geometry of the stairs that will be created. 2.) Once the first point is selected you can lock to an orthogonal axis (0, 45, 90, 135 deg.) or direction by repeatedly clicking the "Ctrl" key. 3.) Once the first point is selected you can also toggle the placement of the stairs by repeatedly clicking the down arrow. The justification is: Center, Left, or Right. 4.) As with the other HTML draw menus, you update/change your parameters and then click the Update button to make them live. You can leave the menu open while drawing your stairs. Hitting the space bar will exit the tool, hitting the ESC key will reset the tool. 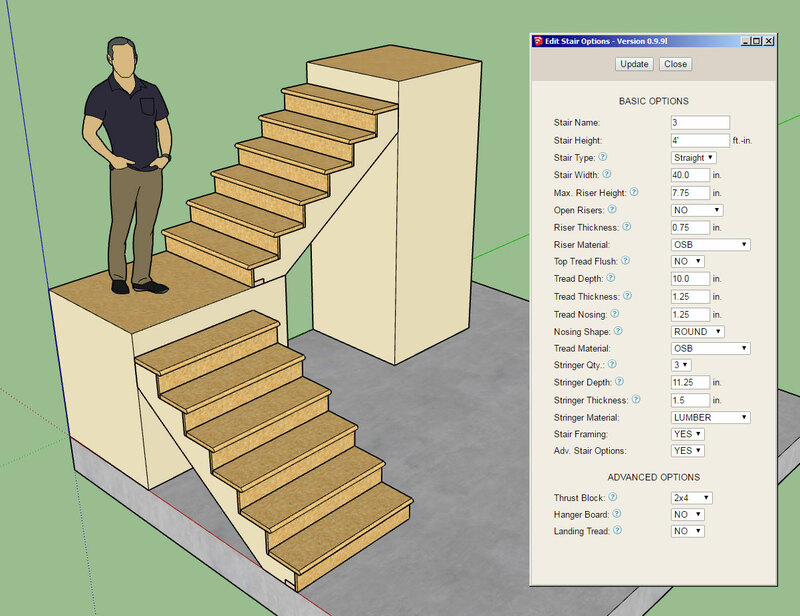 With the draw and edit menus you will notice that for the tread and riser material you also have the option of utilizing materials found in your custom library. The stringer material is limited to certain specific material types (at least for now). This is a completely new module so I expect there may be some minor issues and additional features that will be requested. I still need to create the global settings tab for the stairs so that default parameters can be set for each option. However, it is not critical to the function of the module. After some excellent feedback this morning I am considering adding in additional options for side spacers, gypsum gap, and skirt boards.